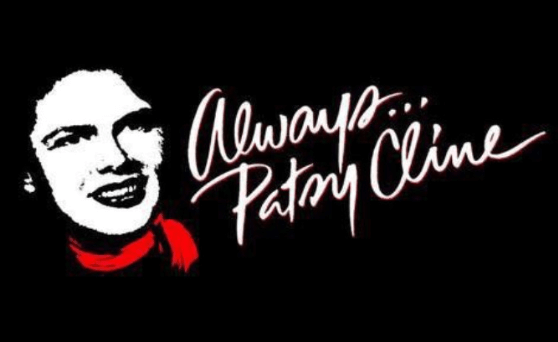 Based on a true story of Patsy Cline’s friendship with Houston housewife Louise Seger, Always…Patsy Cline by Ted Swindley centers itself around the letters Patsy and Louise wrote to each other over several years. 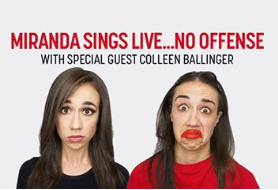 The show combines humor, sadness and reality. It offers fans who remember Cline while she was alive a chance to look back, while giving new fans an idea of what seeing her was like and what she meant to her original fans. Seger supplies a narrative while Cline floats in and out of the set singing tunes that made her famous–ANYTIME, WALKIN’ AFTER MIDNIGHT, SHE’S GOT YOU, SWEET DREAMS, and CRAZY just to name a few.The show is backed by a six piece band and four actors playing the Jordanaires. Kerfuffle is a Theatre for the Very Young company that creates theatre performances with and for people under five years old. Featuring puppets and music designed to engage children ages 2-5 and their families. 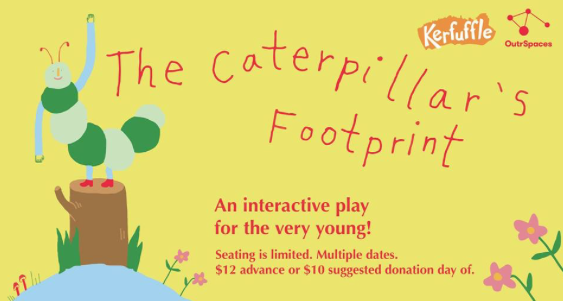 The Caterpillar’s Footprint is an adventurous play inside Kerfuffle’s Yurt Dome. Join Bear, Fox & Dinosaur on a journey through a fantasy forest to meet a curious caterpillar. Seating is limited. Tickets are $12 advance to reserve your seats or a $10 suggested donation day of the event. All proceeds support the artists and OutrSpaces. Tickets are available on Eventbrite – $12 in advance, $10 day of show (seating not guaranteed). 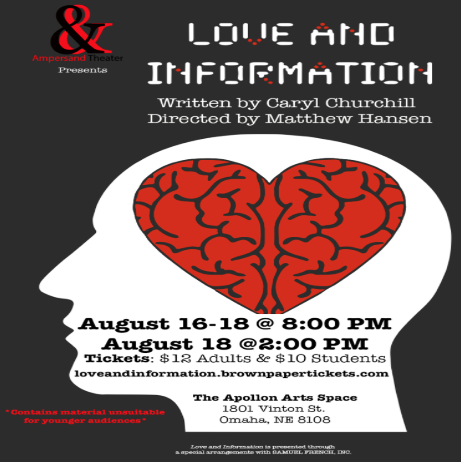 This gorgeous immersive and interactive full-length play explores what it means to be human in our ever-changing world of increasing technology and information. Someone sneezes. Someone can’t get a signal. Someone won’t answer the door. Someone put an elephant on the stairs. Someone’s not ready to talk. Someone is her brothers mother. Someone hates irrational numbers. Someone told the police. Someone got a message from the traffic light. Someone’s never felt like this before. In this fast moving kaleidoscope, more than a hundred characters try to make sense of what they know. Directed by Matthew Hansen. 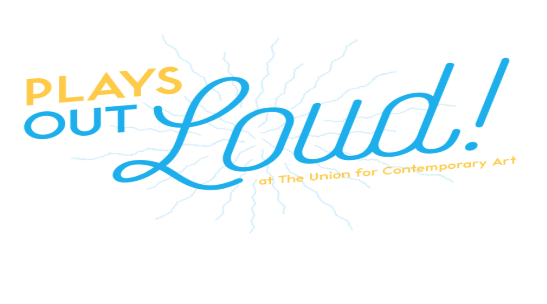 This summer the Performing Arts Collective will present its second annual summer reading series – All performances are done with script in hand followed by a Q&A session with the director and cast. A Man a Fish follows Prosper, a fisherman trying to get by in the face of everyday problems. When a slippery eel salesman arrives in town peddling progress to the rural community, Prosper gets a lesson in gift horses and generosity. A Man A Fish was inspired by real-life events in Burundi and is a part of Donna-Michelle St. Bernard’s 54ology project, which seeks to provide artistic responses to contemporary and historical events in Africa. By Donna-Michelle St. Bernard | Directed by: Denise Chapman, Kathy Tyree, Andre McGraw.